21-Day journey through the western Tibet Changtang route will allow you to see almost all beauties of Ngari. The Ngari western Tibet is the home of nature and wild animals. This is the biggest loop route version of western Tibet tour, traveling in from southern route and traveling out from the northern route visiting the Siling Tso Lake, Zhari Namtso Lake, Dangra-Tso (Dangra Yutso) Lake, and Namtso Lake. You will start by exploring the holy city of Lhasa for three days with Jokhang, Tibet’s most famous temple. 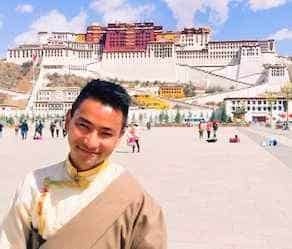 From there, you will explore Barkhor Square, Sera Monastery and the Potala Palace, Tibet’s most iconic building. From Lhasa, you will then journey through central Tibet to Yamdrok Lake, the Karo La Glacier, Gyantse, and Shigatse’s Tashi Lhunpo Monastery. You will then make your way over the Gyatso La Pass at over 5200 meters before arriving at Mt. Everest Base Camp. From Rongphu Monastery and from base camp itself, you will get up-close views of the world’s highest peak. From Everest Base Camp, you will explore the little-visited region of Ngari in far western Tibet. The three days trek kora with 52km is a great adventure to purify the karmic debts. The last Kingdoms in Tibet ( The Guge Kingdom and Toling monastery in Tsaparang town ) border near Ladakh. From Tada town, you will then make the journey to the city of western Tibet Singge Kapap via traveling back to Lhasa through the northern route from Changtang area. The tour will continue from Nyima town towards far northern grassland region near Namtso Lake via passing by many lakes including the second largest lake Siling Tso Lake. The Tour gives a chance to witness the beauties of Changtang area with rarely seen wild animals and beautiful nature with vast grassland and many stunning lakes. Grand tour for Travelers who love to explore the full beauties of western Tibet. Adventure starts: we drive West to reach the second largest city in Tibet. At first, we cross Kampa-la Pass [4797m] and then Karo-la Pass [5050m], where Mt. Noijin Kangsang [7206m] glacier lies near the road. In the middle, we enjoy the unreal turquoise waters of holy lake Yamdrok-Tso. Then we stop in Gyantse town, where we visit the considered best Tibetan art paintings in Kumbum Stupa inside Pelkor Chode Monastery. Also, we admire the majestic Gyantse Dzong (fortress) overlooking the valley. Finally, we reach Shigatse before dinner. Today we enter in the semi-nomadic regions of Tibet’s far west. We will enjoy the authentic Tibetan landscapes during this long drive journey through the biggest and highest plateau in the world. We follow Yarlung Tsampo River West (also called the Brahmaputra in India) until the lake Manasarovar, one of the three most sacred lakes in Tibet. Hindus believe that whoever bathes in it will clean all their sins and provide good karma. Drive 30km to Darchen. After arriving at Darchen town, drive to Tada town. Today we will drive to Tada town to visit one of the last kingdoms in Tibet ( The Guge Kingdom ) Guge is located around 18km from the Tsaparang town. Tsaparang is the town where we will spend the night. Travelers can also enjoy the beauties of the Toling monastery. Today we will travel to SingeKapap city of western Tibet. On the way, we will visit the ruins of Dungkar and Piyang. Travel to Ali western Tibet city for the night. We drive towards the east to Gegye town where the northern route of the western Tibet begins. On the way, we will pass by the beautiful grassland and the source of salt in western Tibet ( Tsaka town ). These areas are quite close to the No man's land in the western Tibet. We will arrive at the Gertse town of the western Tibet where we will spend a night. After breakfast, we will drive to Tsochen through the beautiful grassland via enjoying the beauties of wild animals Kyang, Blue Sheeps and Drong along the way. Tsochen is a small local Tibetan town for the night. These areas in the northern route are not well developed so accommodations are basic rooms only. Wake early for a sunrise view at Zhari Namtso Lake, located about 50km east of Tsochen. This is the largest saltwater lake in Ngari and also the third largest Lakes in Tibet. Continue traveling towards the Dangra Tso Lake in the wet grasslands, one of the holy lakes in western Tibet. On the way to the lake, Travelers will see the beauties of wildlife. Travel from Wenbu to Nyima, on the way, enjoy the beauties of Lake Dangqiong Tso. The route will allow Travelers to enjoy the beauties of nature and wild animals. Stay a night at Nyima county. Today is the last day on the beauties of western Tibet Ngari Changthang Nature Reserve. On the way, we will visit Siling-Tso Lake. We will also stop at Kanglung Tso lake via enjoying the beauties of wildlife and grassland. The Siling Tso Lake is the second largest lake in Tibet. Siling Tso Lake area is also the world's largest black-necked crane nature reserve. We arrive at Bange for the night. The road from to Namtso Lake is paved so the driving will be smooth today. From Bange to Namtso Lake the driving duration is 3 hours. Enjoy the beautiful landscapes the Lake Bamu Tso. We arrive at Namtso Lake for the night at Tashidor. Today we will enjoy the sunrise at Namtso Lake and travel to Lhasa through the northern route from Damxung and Yangpachen hot spring on the way. Enjoy your last hours in Tibet exploring Lhasa on your own until your guide and driver meet you at the hotel to transfer you to the airport. 78 queries in 0.374 seconds.